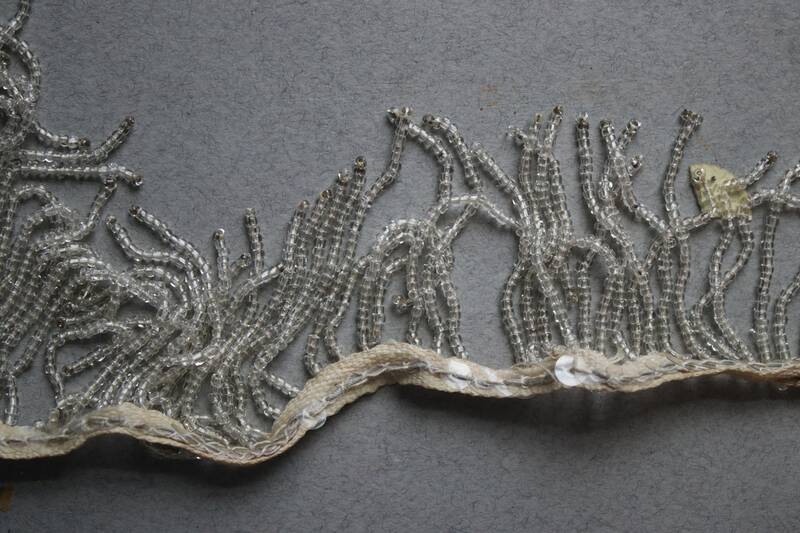 This 35" length of trim is embellished with strands of glass beads and sequins along what appears to be cotton trim. 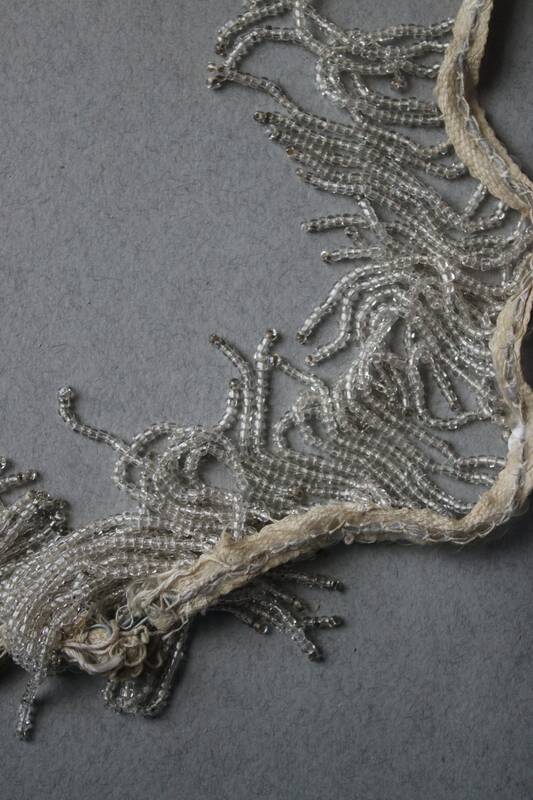 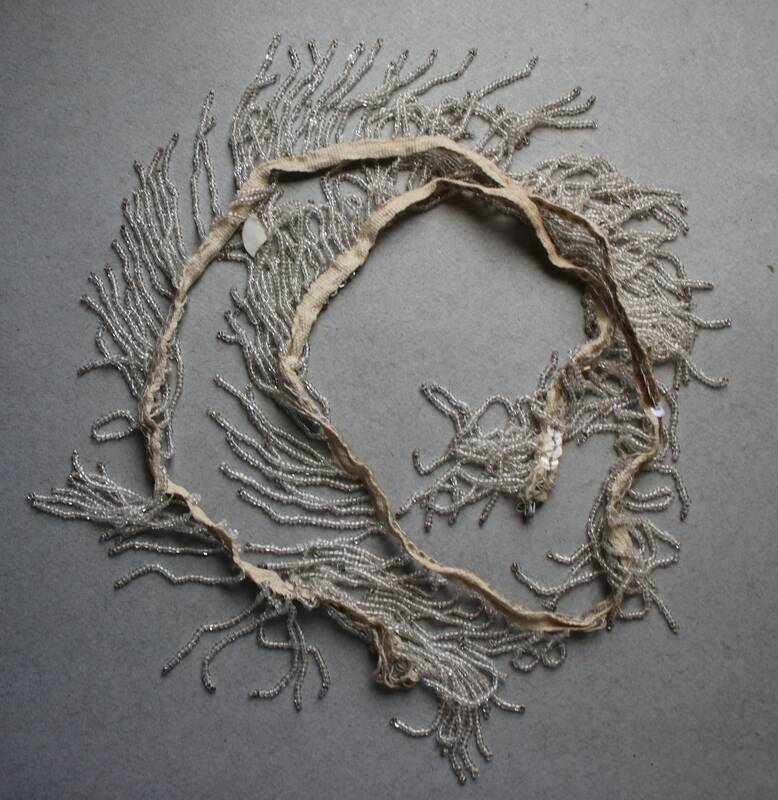 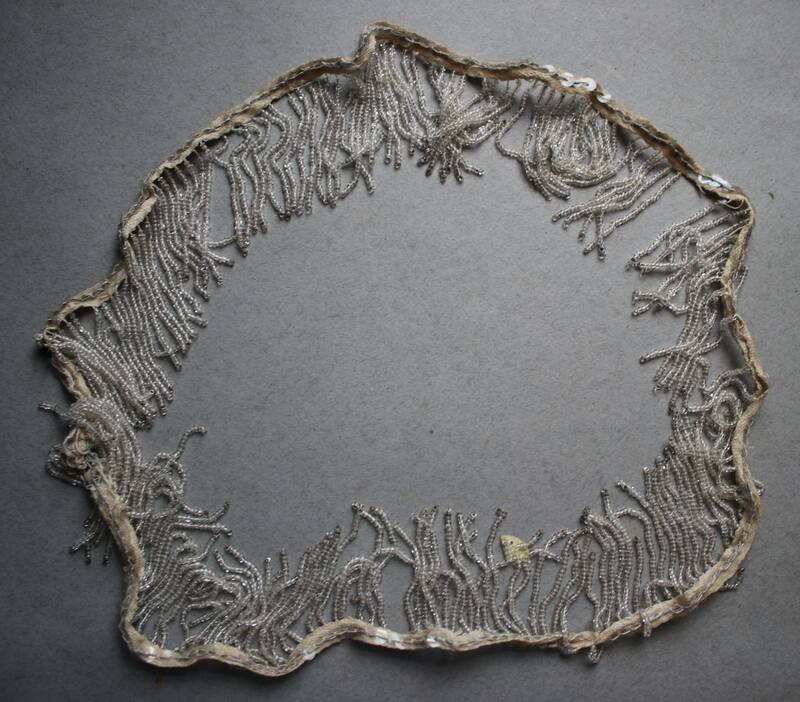 The trim is discolored with age-related wear, and I believe it was once attached to a dress. 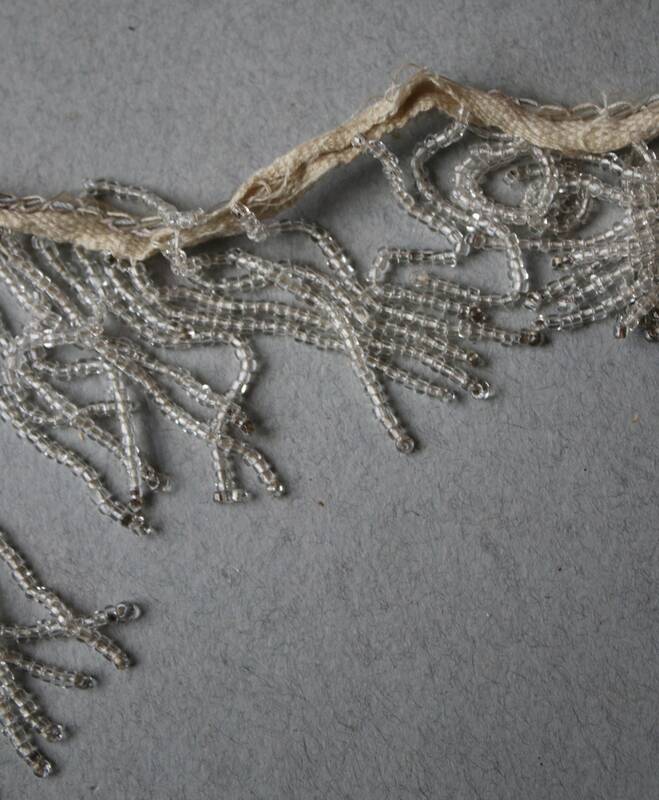 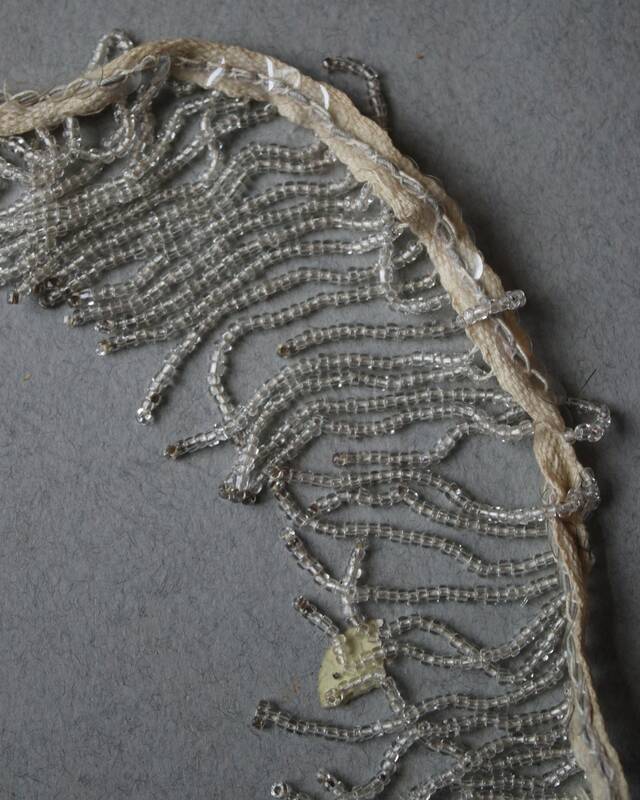 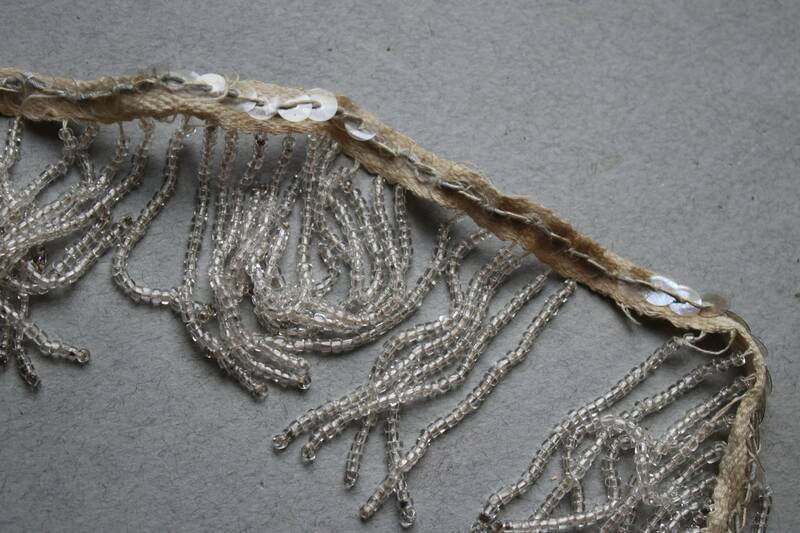 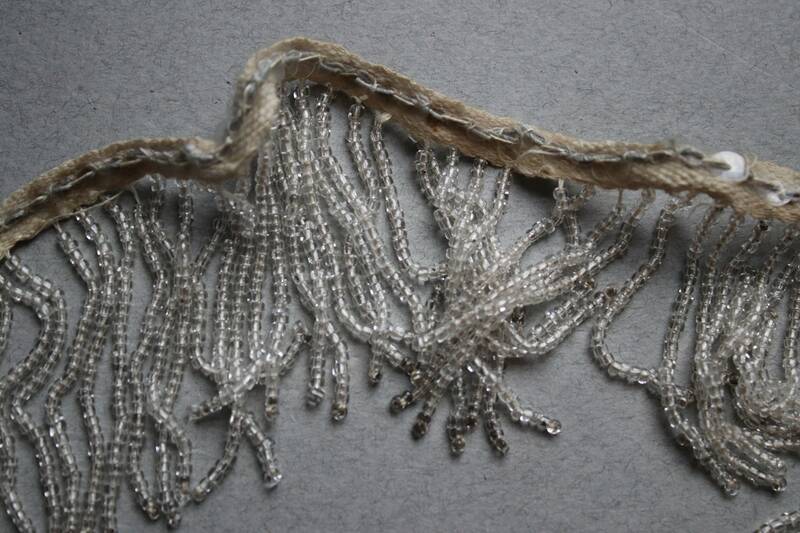 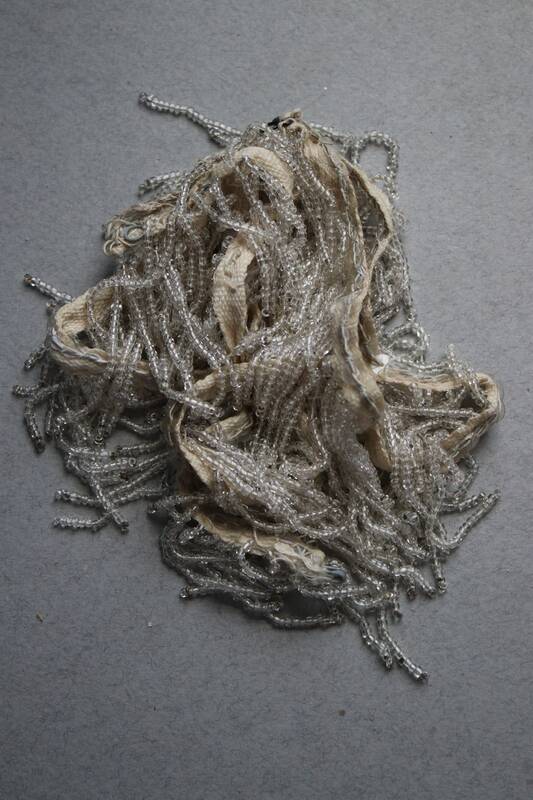 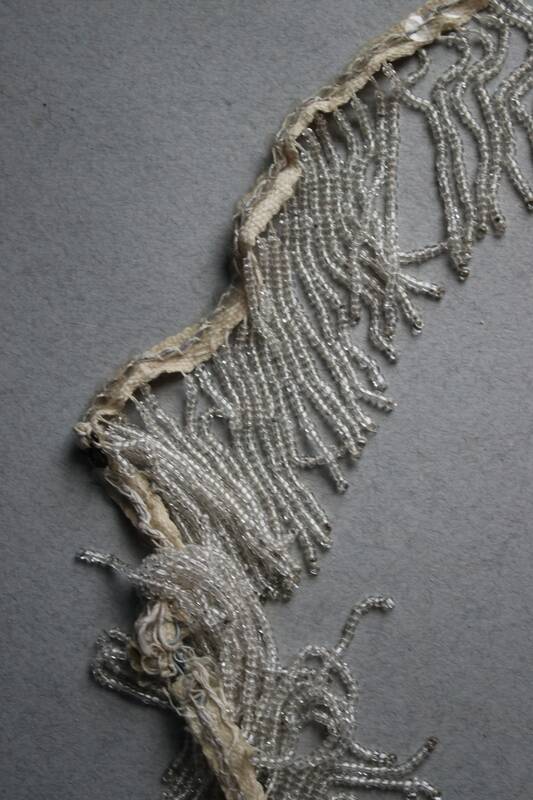 The piece has a heft to it because of the amount of beading and the weight of the beads.